Instagram outfit roundup featuring a bunch of easy fall looks! Is your favorite color blue? If you own several items of clothing in this color, but they’re all varying shades (baby blue, navy blue, denim blue, washed-out blue, blue-black), you might have thought to yourself “no way will any of these look good together”. Well, it’s quite possible to match shades of blue, you just have to keep in mind a few things. Keep it simple: You can pair a lighter shade of blue with a darker shade of blue if you keep things simple. Don’t create optical illusions with sophisticated prints – stick with block colors. A pair of dark denim jeans can look very good with a light blue blouse. Similarly, a pair of ripped jeans can look good with a light blue blouse. Play around with different fabrics: Making sure that each of the pieces have different textures will create more of a distinction between the two shades. For example, pairing a denim skirt with a pastel blue silk blouse. Accessories: It’s fairly easy to tote around a blue bag or strut around in a pair of blue heels when your outfit is also blue – but if blue is not an option, or if you want to tone the ensemble down a bit, stick to neutral accessories. Accessories in nudes and black and whites can highlight your outfit. Head-to-toe white is a nice change of pace for office wear too. 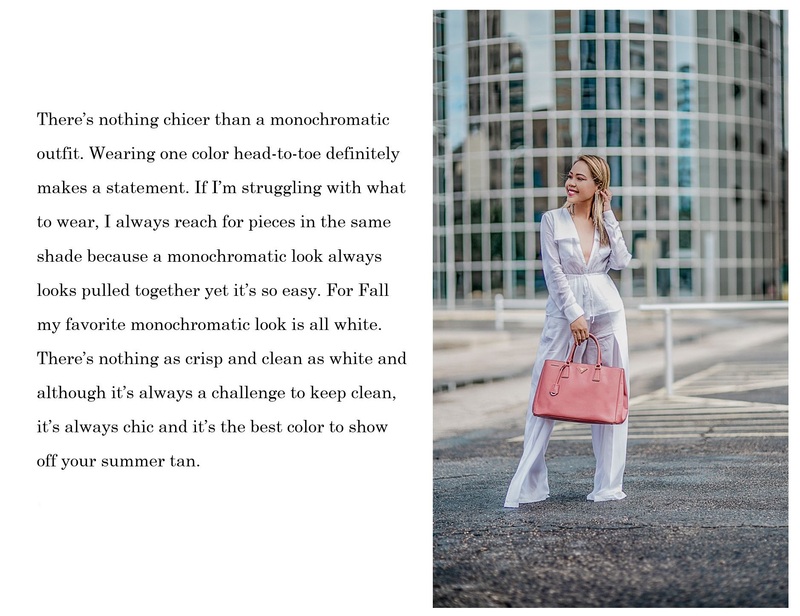 When I worked in a corporate setting, I always looked forward to the summer months when I could get away with wearing white vs. the typical navy and black. One of my favorite places to shop for chic pieces that I can wear to business meetings and on the weekend is BCBGMAXAZRIA. They always have an amazing selection of structured pieces that elevate any look. Keep it simple! A plaid blazer dress can be a bit of a statement piece, so keep the rest of your outfit simple and streamlined. Going the monochromatic route keeps the look polished and professional for a day at work. Love all the outfits. The white one is so pretty. I love the trousers. That blue in look one looks amazing on you! Have a wonderful weekend beautiful! Great outfits Len ! The All white look is my fave !! Thanks for the inspiration girlie ! Stunning Len! I love a great monochromatic look. 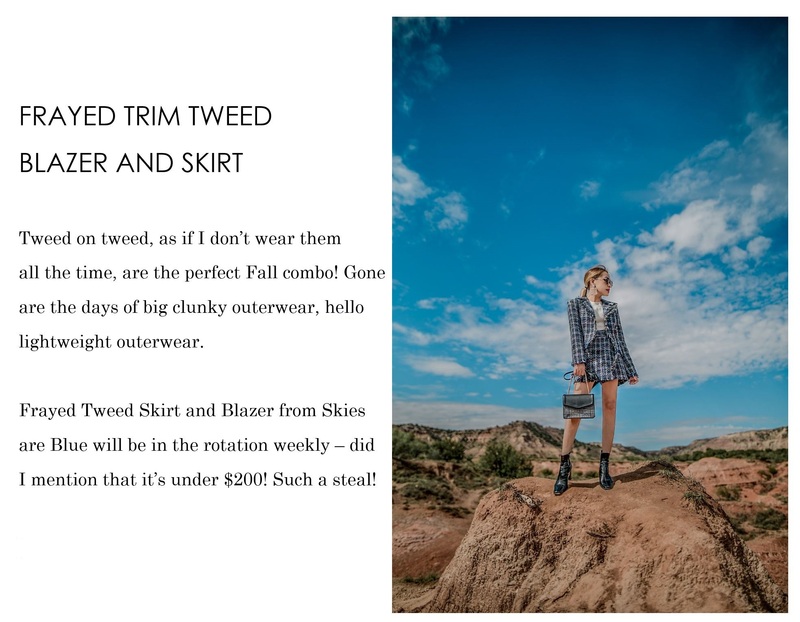 The tweed on tweed and the blazer dress are so perfect too. My favorites! The best kind of combo! Such a cute autumn look! Loving this blue color. Also what lipstick do you have on? It looks very pretty on you. oversize sweaters and booties are my staples in the fall! Such a cute look and an amazing Chanel bag!! All your looks are amazing Len!! These are all fabulous outfits dear. You’re such a goddess in that white outfit. So many fabulous looks in this post! I do love blue too, beautiful Len!